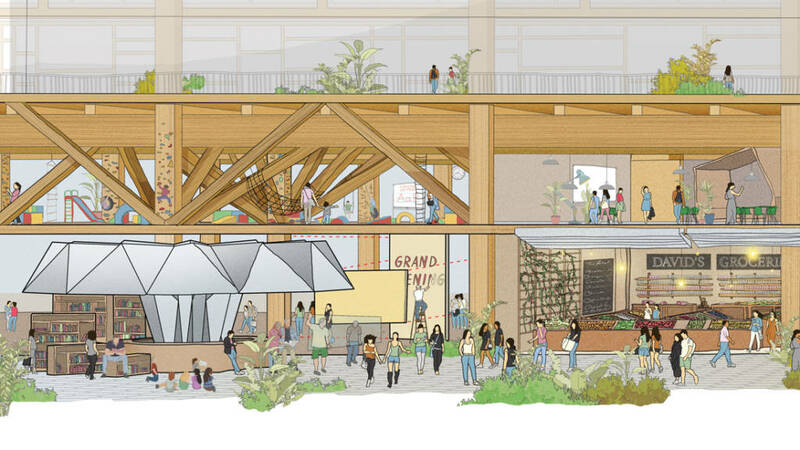 Sidewalk Labs has unveiled its design plan and vision for the public realms of the Quayside project in Toronto, such as parks, plazas, ground-floor shops, and sidewalks. 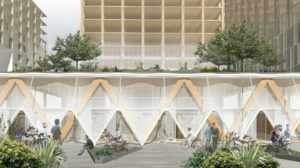 Its proposal for this “smart neighbhourhood” includes modular pavements fitted with heating systems, building “raincoats,” flexible wall panels, and tall timber buildings. 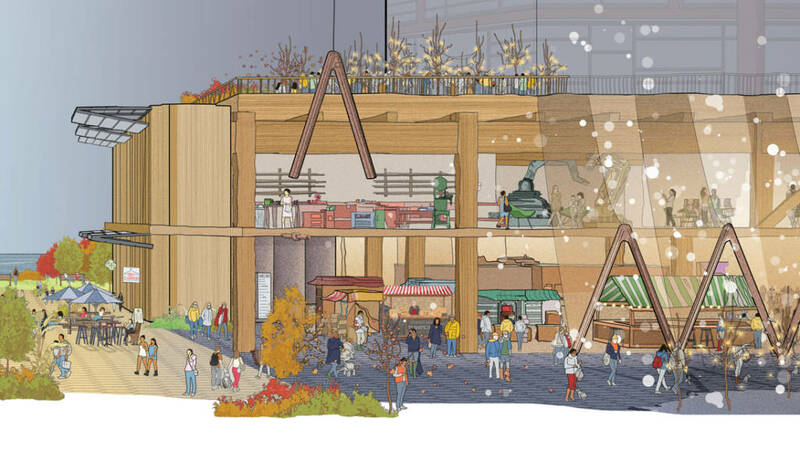 The current zoning for Quayside is approximately 278,709 m2 (3-million sf). 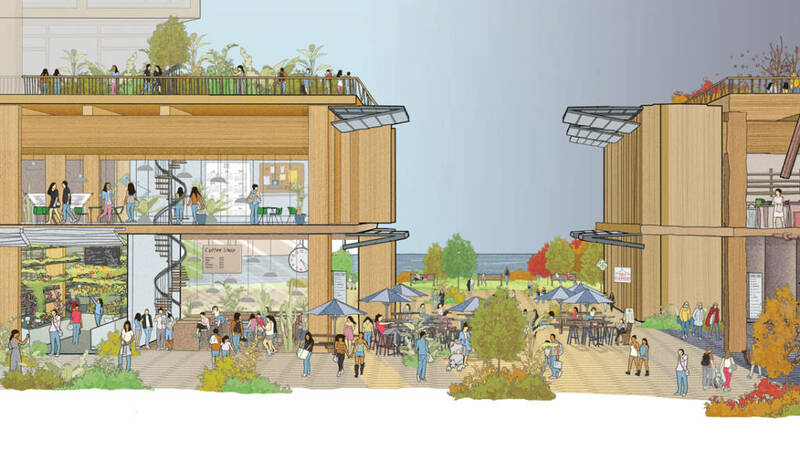 It can be 90 per cent residential (around 3000 units) with a series of tall buildings up to 19 storeys as well as two towers of 42 and 50 storeys. 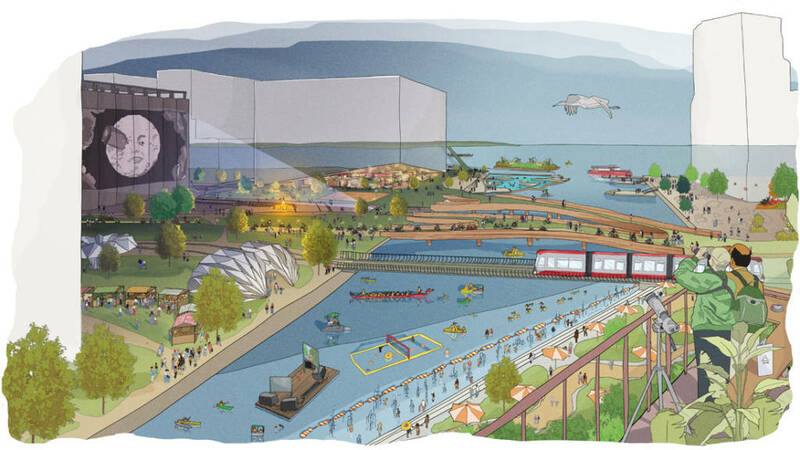 Sidewalk Labs envisions the creation of a “connected, high-quality public realm” at the site that it being jointly developed with Waterfront Toronto. Modular precast slabs are being proposed for pavements to enable faster maintenance and replacement. 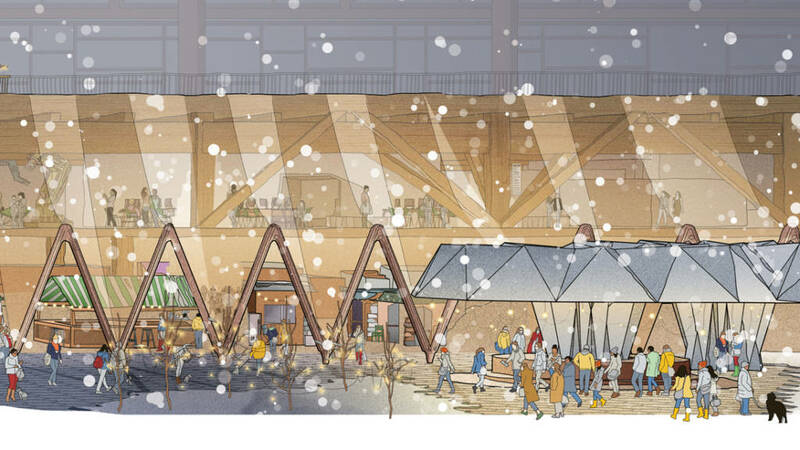 The pavements will also be heated to melt snow and ice during winter. Some sections of the pavement will have light-emitting diode (LED) lights to signal changes in road use throughout the day. 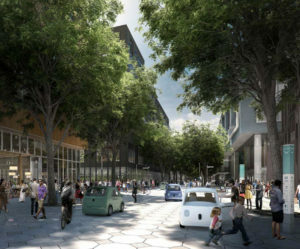 Additionally, dedicated landscape zones will be developed to bring green into the streets and absorb stormwater. One of the goals of the project team is to double Toronto’s usable outdoor hours. 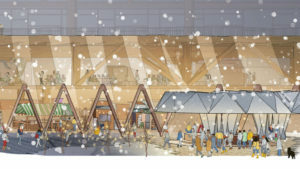 The proposed solution is attaching “building raincoats” made of light, loose, translucent material to the façade of a building. These outdoor comfort systems can be programmed to appear and disappear based on real-time weather. 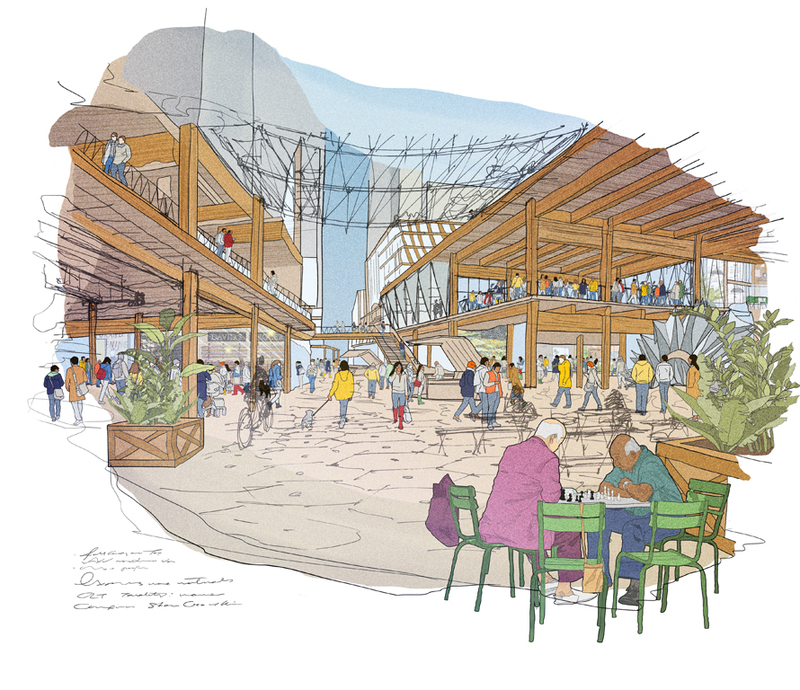 To bring the public realm indoors and create an open, flexible environment on the ground floor, the design team is proposing to employ 12 x 12 m (39 x 39 ft) column bays with 6-m (20-ft) floor-to-floor height made up of prefabricated components. 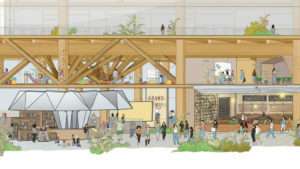 The idea is to enable the community to adapt and evolve the spaces on an as-needed basis through the use of modular kits. 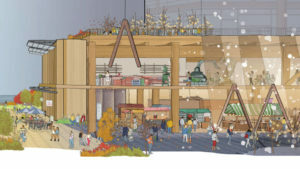 “Moveable walls, fast floor installations, and flexible wall panels will make it easy for new retailers or community organizations to activate the space,” said the project team during a roundtable discussion in Toronto. The building design team is proposing an all-timber development with panelized systems to enable users to grow and shrink spaces as needed over the life of the structure. 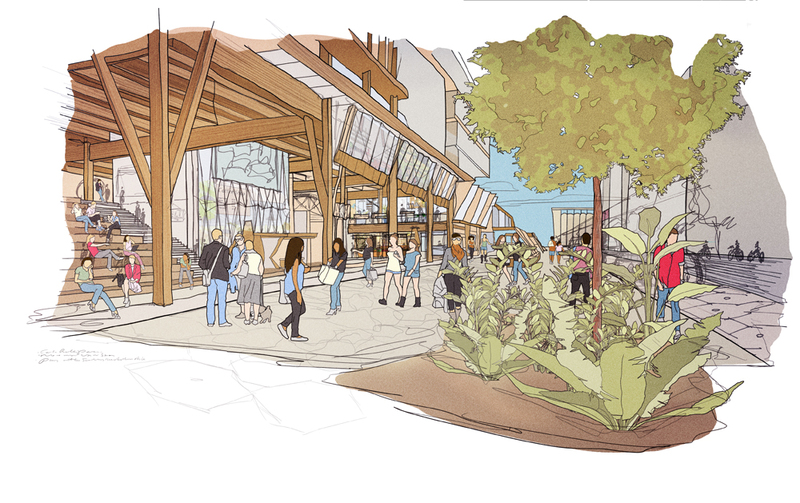 Sidewalk Labs is proposing the use of sensor technology to find out what types of spaces could co-exist. The technology will help monitor, for example, sound and air quality levels. This will allow the project team to design mixed-use areas. 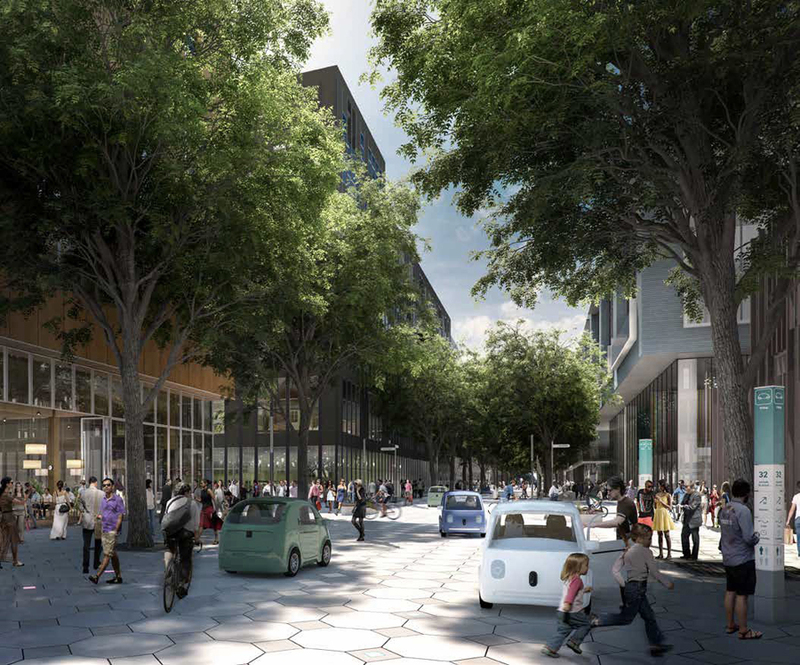 In an attempt to future-proof buildings, Sidewalk Labs is proposing to build centralized parking spaces. The buildings will be DC-powered as this type of wiring is not a shock hazard, and can be run on the surface. Façades will be glazed with photochromic glass that gradually tints when exposed to sunlight. 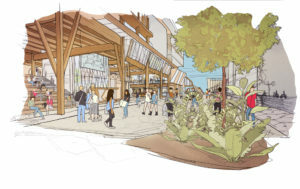 The project is aiming to achieve tier 3 of the Toronto Green Standard. Some of the materials being employed are Cradle-to-Cradle certified. 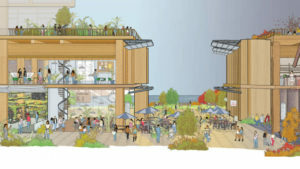 All the buildings will either have green roofs or photovoltaic (PV) roof systems to generate solar energy for the community. A mist-system of sprinkler heads emitting atomized water is being proposed. This type of system runs on 9.5 mm (3/8 in.) tubing and need not be embedded in the walls. This also means walls can be moved around easily as there will not be any utilities in the walls.